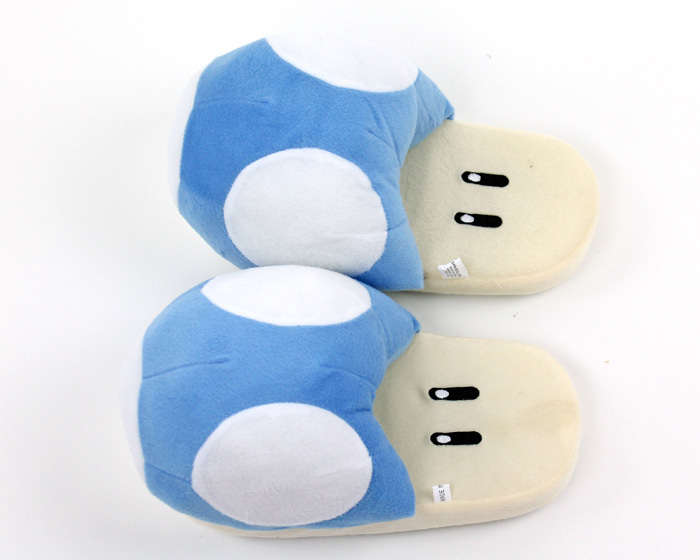 A rarer sight than red or green, these Blue Mushroom Slippers may not make you shrink, but they will keep your feet warm! 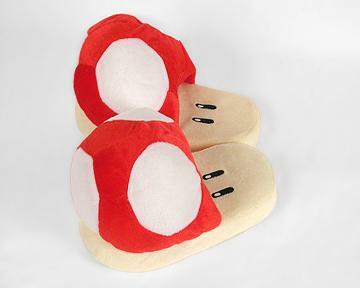 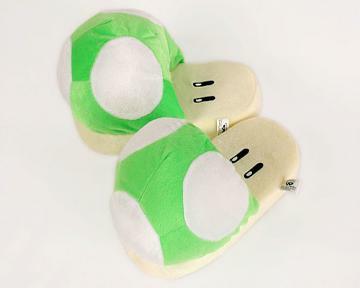 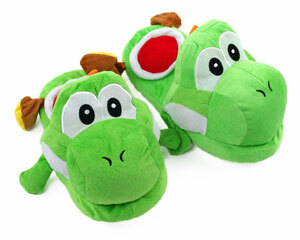 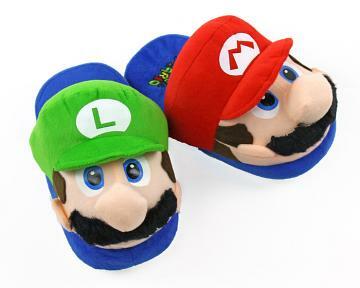 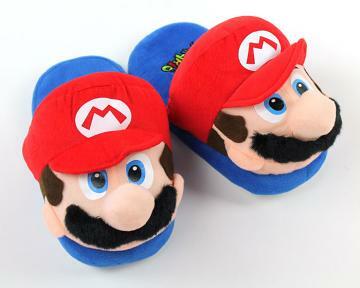 Nice and plush, these slippers will envelop your toes in comfort fit for any who wander the Mushroom Kingdom. 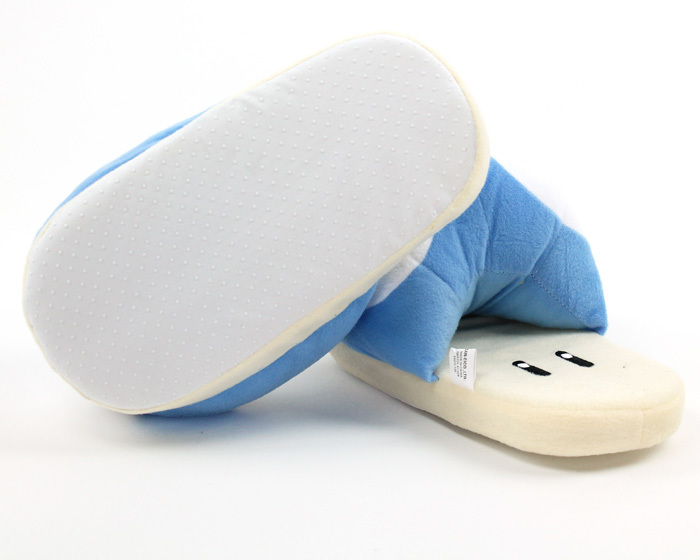 A thick footbed makes you feel like you're walking on air, and the no-skid base keeps you stable as you sneak around. 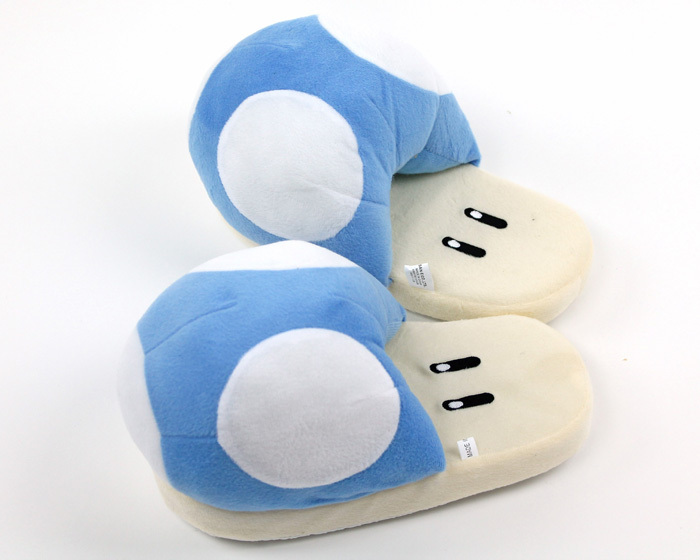 Perfect for Nintendo all-nighters or lazy weekends, these Blue Mushroom Slippers will make you feel like a winner.